Deadpool has done it again. After thousands of fans signed a petition to get the hilarious yet vulgar superhero to host “Saturday Night Live,” it appears Ryan Reynolds has responded and he did so in typical Deadpool fashion. Reynolds posted to social media over the weekend that Deadpool was going to host the show “back in the 90s,” but leaked footage of a profanity-laced rant ultimately prevented it from happening. “Thank god Tom Hanks was available,” Reynolds wrote. The post was accompanied by video titled "Why Deadpool won't be hosting SNL," which appears to spoof recently released audio of Kanye West’s SNL breakdown. Actually #DEADPOOL was going to host back in the 90s, but then this happened. Thank god Tom Hanks was available. 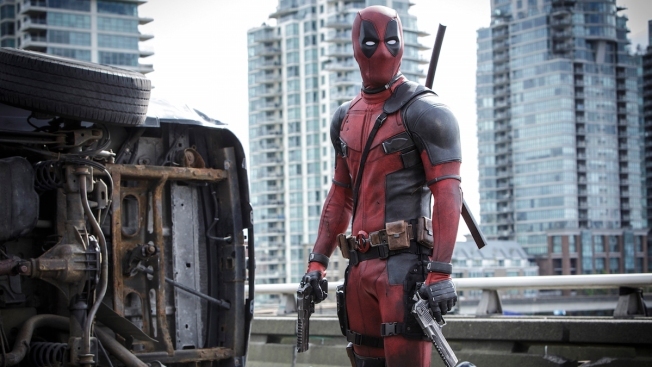 The R-rated "Deadpool" has taken the box office by storm, annihilating records with an eye-popping $135 million from its first three days in U.S. theaters, according to comScore estimates.